The Ministry of Law and Justice has issued notifications for appointing new Chief Justices for Allahabad and Punjab & Haryana High Courts. 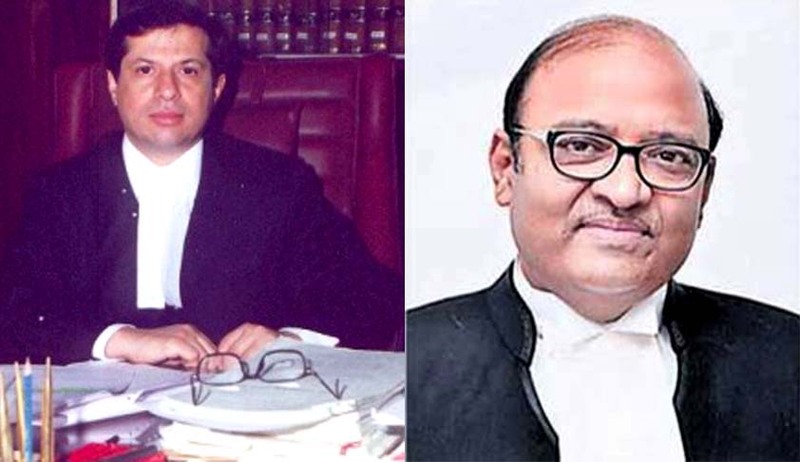 As per the Notification Shri Justice Shiavax Jal Vazifdar, Judge of the Punjab and Haryana High Court, is appointed as the Chief Justice of the Punjab and Haryana High Court with effect from the date he assumes charge of his office. Also Shri Justice Dilip Babasaheb Bhosale, Judge of the High Court of Judicature at Hyderabad for the States of Telangana and Andhra Pradesh, is appointed as the Chief Justice of the Allahabad High Court with effect from the date he assumes charge of his office. But the transfer of Uttarakhand Chief Justice KM Joseph has not been cleared by the Government though the Supreme Court Collegium had recommended his transfer to High Court of Andhra Pradesh two months ago. The Collegium had recommended his transfer, just after his landmark Judgment quashing the President’s Rule in the State. Though it was rumoured that he was transferred because of this Judgment, later it was clarified by sources related to him, that it was recommended after his request to Collegium citing bad health. Recently ‘The Hindu’ reported that the Collegium is considering the elevation of Justices Manjula Chellur, K.M. Joseph and Sanjay Kishan Kaul to the Supreme Court.